3. Journey to Explore the Province of Parï¿½. Contained in: Annals and Magazine of Natural History, Vol. III, 2nd series. This article: pp. 74-5. I am looking for a copy for my globe trotting daughter as I read a library copy some years ago. Yes, it is very lengthy, like the Amazon, but totally fascinating, engrossing and a marvellous account. I remain amazed that Bates survived his lengthy stay, and also that he was one of the first to publicise the ecological destruction that was then commencing as Europe opened up the rain forest. If you have any real desire to learn about the Amazonas, this is the definitive publication. Climbing palms. Seven-inch monkeys.Twenty-foot anacondas.Bats with two-foot wingspans. Five-inch spiders.Bloodthirsty insects.Methods of river travel.Torrential downpours.Indigenous peoples. 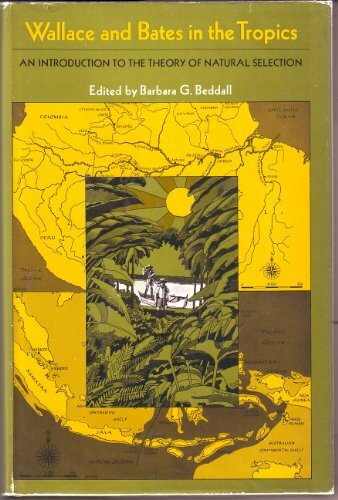 Henry Walter Bates' personal narrative of exploring and naturalizing in the Amazon Basin is both an enjoyable read and one of immense importance to natural history. From 1848-1859 Bates traveled throughout the Amazon and its many tributaries taking notes on everything from the natural world to the cultures and customs of the many native and non-native peoples he encountered. His observations of animal mimicry (now known as Batesian Mimicry) further glued Darwin's theory of evolution, natural selection and adaptation. The reader is easily lured into Bates' descriptive writing style.Energetic, expressive and vigilant, we are right there alongside him traveling through the murky dark waters of the upper Amazon or up close with a scrutinizing eye to observe the ants, monkeys and butterflies.He was a keen and enthusiastic witness to a world slowly disappearing.